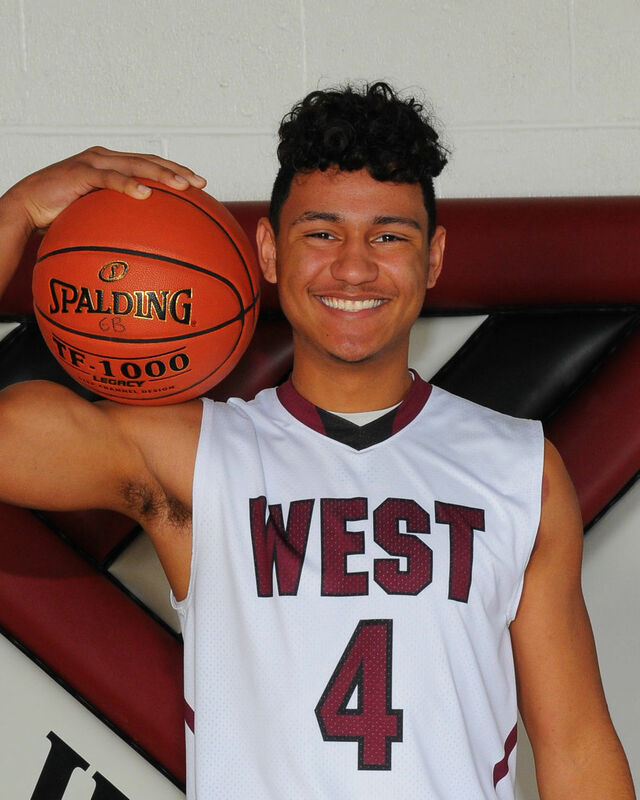 WATERLOO — Waterloo West got strong efforts up and down its lineup and defeated Linn-Mar 66-58 Friday night in Mississippi Valley Conference boys’ basketball action. Caleb Haag scored a team-high 21 points for the Wahawks (5-2, 3-2), including several critical baskets down the stretch. Isaiah Johnson added 20 points with four 3-point buckets and a stellar effort on defense, while Jaden Keller and Daquavion Walker impacted the game at both ends of the floor. Walker finished with 13 points. Linn-Mar fell to 2-4 overall and 2-3 in MVC games. DENVER 77, COLUMBUS 53: Denver had four players score in double figures as the Cyclones cruised past Waterloo Columbus in North Iowa Cedar League action Friday. Alex Gebel had a double-double of 20 points and 10 rebounds, Isaac Besh added 13 points, Devin Baas chipped in 12 and Kyler Matthias finished with 11 as Denver improved to 8-2 overall and 4-2 in NICL games. Bryce Phelps had 10 of the Cyclones’ 24 assists in the game. Columbus (0-8, 0-6) fell behind 43-23 at halftime and trailed 58-31 after three quarters. DENVER 46, COLUMBUS 44: Denver turned up the defensive pressure down the stretch and pulled out a 46-44 North Iowa Cedar League girls’ basketball win over Waterloo Columbus Friday. The Sailors (1-8, 0-6) built a 41-36 lead with 2 1/2 minutes to play, but Denver (5-5, 3-4) came up with a couple of late steals out of its pressure defense and then hit three key free throws to escape with the win. The Cyclones, who have won four of their last five games, hit seven 3-point baskets in the game and were led by Kambrie Clinton’s 14 points. Columbus (1-8, 0-6) got a strong game in the post from Ali Vesely with 18 points while Sydney Schultz added 11. LINN-MAR 56, WATERLOO WEST 51, OT: A cold night of shooting by Waterloo West mixed with a hot night by Linn-Mar led to a Mississippi Valley Conference overtime loss for the Wahawks Friday. The Lions (4-6, 3-4) led 20-19 at halftime and maintained a narrow lead for most of the second half. West used its full-court pressure defense to pull even by the end of regulation and had a chance to win it, but NaTracia Ceaser’s driving, left-handed lay-up attempt at the buzzer wouldn’t fall. The Wahawks ended the night with four scorers in double digits, led by Ceaser with 12. WATERLOO WEST (5-3, 3-3) — NaTracia Ceaser 4 2-2 12, Lauren Conrey 4 1-2 10, Gabby Moore 2 2-3 6, Meredith Eighmey 0 2-2 2, Sierra Burt 0 0-0 0, Brooklynn Smith 5 1-1 11, Jada Draine 4 0-0 10. Totals 19 8-10 51. LINN-MAR (4-6, 3-4) — Keegan Krejca 5 3-4 14, Macey Miller 3 4-6 12, Molly Chmelicek 0 1-2 1, Jamison Feldman 3 0-0 8, Hallie Peak 0 3-4 3, Alexis Beier 2 0-0 5, Marissa Miller 0 0-0 0, Carly Printy 4 2-2 13, Emma Casebolt 0 0-0 0. Totals 17 13-18 56. 3-point goals — West 5 (Ceaser 2, Draine 2, Conrey 1), Linn-Mar 9 (Printy 3, Miller 2, Feldman 2, Beier 1, Krejca 1). Total fouls — West 16, Linn-Mar 13. Fouled out – Draine. DENVER (3-4, 5-5) — Jaden McMahon 3 0-0 8, Lexi Lyons 1 0-0 3, Lila Meyer 3 1-2 7, Allison Bonnette 0 0-0 0, Emma Hennessey 0 0-0 0, Sarah Steege 3 2-4 9, Kambrie Clinton 3 6-6 14, Reese Johnson 0 0-2 0, Rachel Hennessey 1 0-0 3, Sydeney Eggena 1 0-0 2. Totals 15 9-14 46. WATERLOO COLUMBUS (1-8, 0-6) — Emily Surma 1 0-1 2, Reagan Lindsey 3 1-2 7, Maliayah Little 1 2-5 4, Hannah Hewitt 0 0-0 0, Sydney Schultz 5 1-5 11, Kayla Sproul 0 2-2 2, Ali Vesely 5 8-11 18. Totals 15 14-26 44. 3-point goals — Denver 7 (McMahon 2, Clinton 2, Steege 1, Lyons 1 R. Hennessey 1), Waterloo Columbus 0. Total fouls — Denver 22, Waterloo Columbus 16. Fouled out — none. LINN-MAR (2-4, 2-3) — Trey Martin 0 0-0 0, Brady Klahn 0 0-0 0, Jaren Nelson 4 0-0 9, Greg Hall 1 0-0 3, Trey Hutcheson 10 1-2 22, John Steffen 2 2-2 6, Hayden Passmore 9 2-3 18, Eli Havlik 0 0-0 0, Cam Nelson 0 0-0 0. Totals 25 5-7 58. WATERLOO WEST (5-2, 3-2) — Daquavion Walker 5 1-3 13, Sebastian Gunderson 1 0-0 2, Mondre Lagow 0 0-0 0, Caleb Haag 9 1-2 21, Isaiah Johnson 7 2-5 20, Jaden Keller 2 1-2 5, Mitch Fordyce 0 0-0 0, Amar Kuljuhovic 2 1-1 5. Totals 26 6-12 66. 3-point goals — Linn-Mar 3 (J. Nelson 1, Hall 1, Hutcheson 1), West 8 (Walker 2, Haag 2, Johnson 4). Total fouls — Linn-Mar 18, West 11. Fouled out — none. WATERLOO WEST (5-3, 3-3) -- NaTracia Ceaser 4 2-2 12, Lauren Conrey 4 1-2 10, Gabby Moore 2 2-3 6, Meredith Eighmey 0 2-2 2, Sierra Burt 0 0-0 0, Brooklynn Smith 5 1-1 11, Jada Draine 4 0-0 10. Totals 19 8-10 51. LINN-MAR (4-6, 3-4) -- Keegan Krejca 5 3-4 14, Macey Miller 3 4-6 12, Molly Chmelicek 0 1-2 1, Jamison Feldman 3 0-0 8, Hallie Peak 0 3-4 3, Alexis Beier 2 0-0 5, Marissa Miller 0 0-0 0, Carly Printy 4 2-2 13, Emma Casebolt 0 0-0 0. Totals 17 13-18 56. 3-point goals -- West 5 (Ceaser 2, Draine 2, Conrey 1), Linn-Mar 9 (Printy 3, Miller 2, Feldman 2, Beier 1, Krejca 1). Total fouls -- West 16, Linn-Mar 13. Fouled out – Draine. DENVER (3-4, 5-5) -- Jaden McMahon 3 0-0 8, Lexi Lyons 1 0-0 3, Lila Meyer 3 1-2 7, Allison Bonnette 0 0-0 0, Emma Hennessey 0 0-0 0, Sarah Steege 3 2-4 9, Kambrie Clinton 3 6-6 14, Reese Johnson 0 0-2 0, Rachel Hennessey 1 0-0 3, Sydeney Eggena 1 0-0 2. Totals 15 9-14 46. WATERLOO COLUMBUS (1-8, 0-6) -- Emily Surma 1 0-1 2, Reagan Lindsey 3 1-2 7, Maliayah Little 1 2-5 4, Hannah Hewitt 0 0-0 0, Sydney Schultz 5 1-5 11, Kayla Sproul 0 2-2 2, Ali Vesely 5 8-11 18. Totals 15 14-26 44. 3-point goals -- Denver 7 (McMahon 2, Clinton 2, Steege 1, Lyons 1 R. Hennessey 1), Waterloo Columbus 0. Total fouls -- Denver 22, Waterloo Columbus 16. Fouled out -- none. LINN-MAR (2-4, 2-3) -- Trey Martin 0 0-0 0, Brady Klahn 0 0-0 0, Jaren Nelson 4 0-0 9, Greg Hall 1 0-0 3, Trey Hutcheson 10 1-2 22, John Steffen 2 2-2 6, Hayden Passmore 9 2-3 18, Eli Havlik 0 0-0 0, Cam Nelson 0 0-0 0. Totals 25 5-7 58. 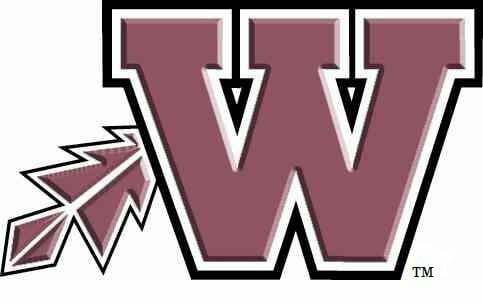 WATERLOO WEST (5-2, 3-2) -- Daquavion Walker 5 1-3 13, Sebastian Gunderson 1 0-0 2, Mondre Lagow 0 0-0 0, Caleb Haag 9 1-2 21, Isaiah Johnson 7 2-5 20, Jaden Keller 2 1-2 5, Mitch Fordyce 0 0-0 0, Amar Kuljuhovic 2 1-1 5. Totals 26 6-12 66. 3-point goals -- Linn-Mar 3 (J. Nelson 1, Hall 1, Hutcheson 1), West 8 (Walker 2, Haag 2, Johnson 4). Total fouls -- Linn-Mar 18, West 11. Fouled out -- none.